Mahindra 2 Wheelers wants a bigger share of the 2-wheeler market and one of the best ways to grow is to launch a prodcut in the 110cc-scooter segment. The 110cc segment is dominated by Honda with Activa and has helped the company grow into one of the biggest in terms of sales in the whole 2-wheeler segment. 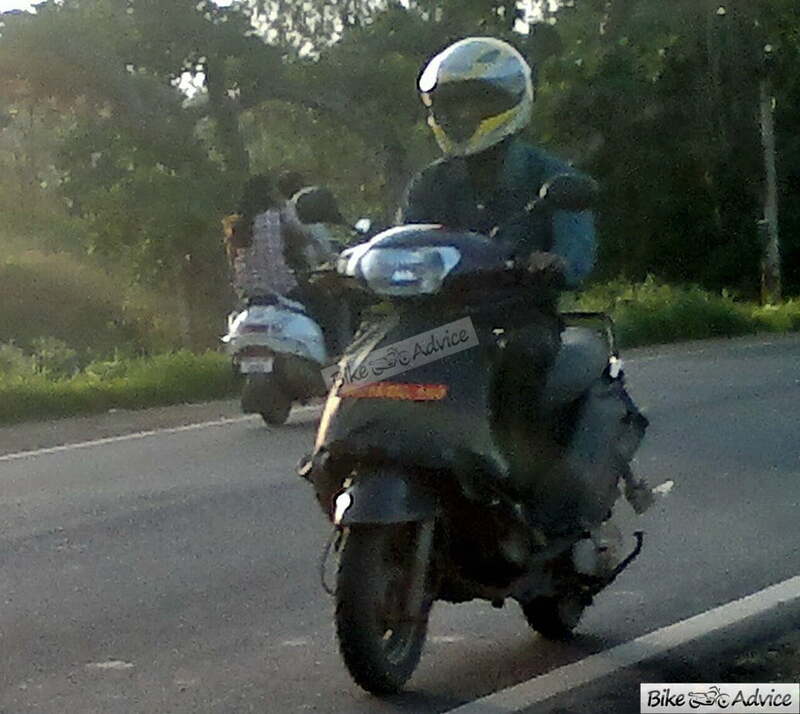 A Mahindra 110cc scooter has been spotted testing. Code-named the G101 internally, the scooter has been caught testing and is expected to be launched sometime in 2014. Mahindra has unveiled the name of the new 110cc scooter which will be launched on 29th September 2014. It has been named the Mahindra Gusto. Gusto means doing something with interest /excitement. Read more about the scooter here. The Mahindra Zesto has been spied without any camouflage again, this time while its TVC was being shot in Mumbai, Maharashtra. This points to the fact that the 110-cc scooter could be launched in a couple of months. Reports suggest that the Zesto will be available in three paint options: Red, White and Black. The scooter has been designed to attract universal appeal and is a bit conservative. New spy shots of the upcoming Mahindra 110cc scooter have been revealed. There are also rumours about the what the product could be named, it could be called the Mahindra ‘Zesto’. It makes a bit of sense as Mahindra has the tendency to add an ‘O’ to the end of the name of their two-wheelers. You have seen the front of the scooter in earlier spy shots. Check out the instrument cluster (which is all-analogue) and the huge tail-lamp cluster. According to a report in the Economic Times, the Mahindra 110cc scooter codenamed the G101 may be launched sometime in August 2014. 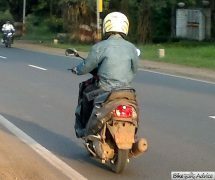 The 110cc scooter from Mahindra has been spied testing again, this time giving us a sneak peak of the front apron and properly showing the instrument cluster. The front apron sports the indicators and faux-air intakes. The instrument cluster seems to be a analogue unit, the speedo and fuel-indicator are analogue whereas a quadrilateral display houses the tell-tale indicators for the headlight, side-indicators and such. What do you think? Let us know int he comments section below. The Mahindra 110cc scooter has been spied again, these photos also show that the company is still using body panels from its existing lineup of scooters like the Duro to cover up the mule. The exhaust is shaped differently than the other scooters in the manufacturer’s stable. 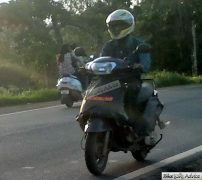 It remains to be seen how well the scooter will fare against the Honda Activa, we will have to wait and see.